Give yourself a healthy dose of fitness experience at the Bru.X.Fit 2016. 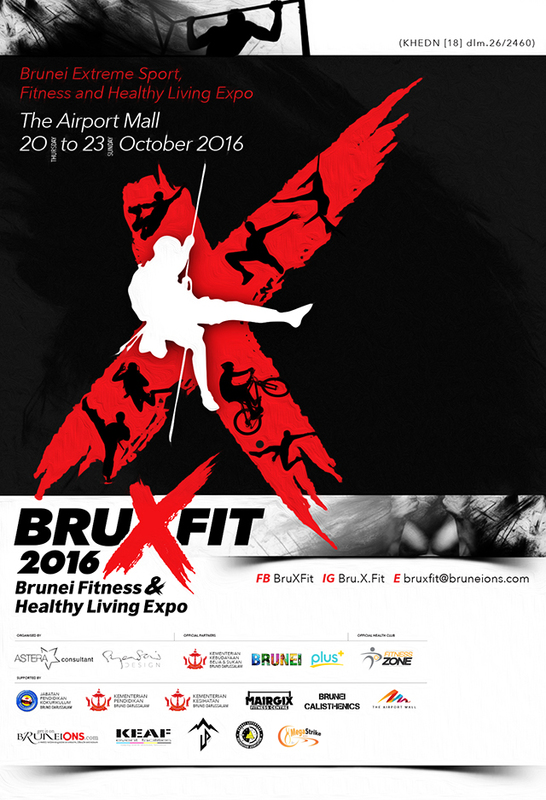 The four-day Fitness & Healthy Living Expo or Bru.X.Fit 2016 is aim to promote Healthy Living and Sporting Lifestyle into the community and to encourage sporting as part of the society routine activities starting from Thursday, the 20th of October until Sunday, 23rd October 2016. Bru.X.Fit 2016 is also aim at highligthing Brunei Darussalam as an active venue for Sporting Events and promoting Brunei Darussalam as a destination for Sport Tourism. Bru.X.Fit 2016 will showcase the latest fitness and health products from fitness programmes and packages, from sporting equipment, apparel and footwear, food and nutrition, health services, supplements and many more. The value of sport & healthy living to the communities play an important role socially and culturally in developing and bringing communities together. An active and healthy lifestyle will affect in increasing social capital, reducing crime and anti-social behavior. This will lead into the building up and strengthening of community with healthy mindset in developing a greater nation. 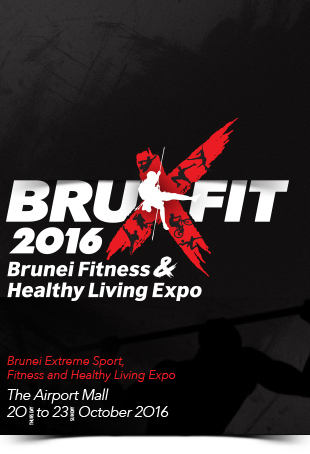 The Bru.X.Fit 2016 will showcase ‘Bar-rage’ Calisthenics Competition by Brunei Calisthenics and Mairgix Fitness Centre; Basketball 3x3 Challenge by Shooting Stars Brunei; Rock Climbing Competition by Up Climbing Centre and Brunei Recreation & Adventure Association; Youth Bowling Programme by Megastrike Bowling Centre; while Fitness Zone as the Official Fitness Club for Bru.X.Fit 2016 will be conducting Functional Competition, Kick Boxing, Spinning Challenge and Silat Showcase. There will also be other activities to be included such as Aerial Acrobats and CrossFit and more will be announce in the coming days. The Bru.X.Fit 2016 is also supported by PLUS Magazine, Bruneions.com, KEAF Event Facilities and The Airport Mall. With various activities on effective methods and the latest in fitness trend, sports, healthy diets, food and nutritions workshops by health experts and practitioners, sporting enthusiast will also benefit from tips and trainings from top fitness instructors. Visitors will also have a chance to meet Calisthenics Pro Kenneth Gallarzo, Vice President of World Calisthenics Organization and the Creator of “Battle of The Bars”, Alim Roslan from Brunei Calisthenics and Bar-rage Founder, Elena Khaw an International Aerial Silks Performer from Viva Vertical and Asia/Europe Fitness Blogger Sofia Theologou. Bru.X.Fit 2016 will also include healthy food promotions with daily cooking demonstrations and sampling from dietary experts and chefs. The Bru.X.Fit 2016 is aspired to be Brunei’s largest health and fitness event to be held locally which encompasses all aspects of fitness and healthy lifestyle to promote and help you achieve your health and fitness goals, an expo for the dedicated fitness enthusiast right through to those whose just starting out. The event is open to the public, there will be many activities for the public to be involve with.